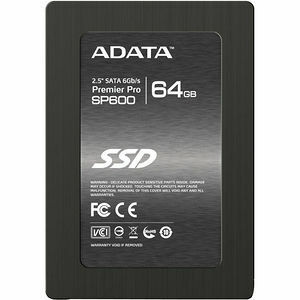 The Premier Pro SP600 SATA III 6Gb/s SSD implements the latest firmware optimization techniques and is comprised of strictly selected Flash memory chips. Powered by the JMicron controller, it offers outstanding performance with sequential read and write speeds of 360 and 130 MB/second, and 4KB random read/write speeds of up to 40,000/30,000 IOPS. It is the best storage solution choice for consumers considering a first time hardware upgrade. Premier Pro SP600 Solid State Drive offers continuous read and write speeds of up to 360 and 130 MB per second, with 4KB random read/writes up to 40,000/30,000 IOPS. Capacities of 32, 64 and 128GB, combined with increased durability, reliability, and quietness over traditional hard disks, all mean better performance than ever for your system.